Ero Ads is an Adult Advertising European company. Which was Founded in January 2006 in Netherlands. Since it’s establishment Ero advertising is very Successful company With More than 55000 Publisher Generating Over 2 billion Views per day. This is one of the leading Advertising company in adult Ads industry which work for all platforms and webmaster can monetize there web and mobile traffic easily. Advertiser have a great Scope to display there ads all around the globe. EroAdvertising revolutionary technology boosts your online advertising performance by providing new ways to add impact and relevance quickly and easy. 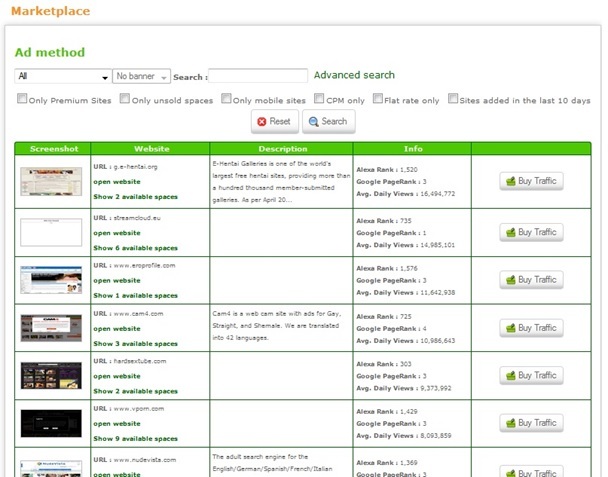 Set Up a EroAdvertising campaign within a few minutes and increase your ranking and visibility already today. Want to make revenue out of a website with adult content? Ero Advertising can be a solution! Want to advertise your website with adult contents? Want relevant traffic to your website with adult contents? Ero Advertising can be a solution! It is a Netherlands based web advertising agency for adult content websites. Ads are served in more than 200 countries across the globe. Provide Solutions tailored to your product’s requirements. Provide detailed stats so you can control where the traffic is coming from. 1) You can buy a spot directly from publishers registered on Ero Advertising from market place provided by Ero Advertising. 2) Or you can assign a list with whitelisted sites to your campaign. Your advertisements will be displayed only on these websites. Advertiser can view and analyze traffic statistics by logging in into Ero Advertising account. Statistics can be viewed in real-time reports grouped by the hour, day, week, month, or year. Ero Advertising provides options to create your own customized ad campaign, clone (duplicate) your ad campaign, pause ads, delete ads at any point of time. You can also block bad converting websites under your ad campaign. 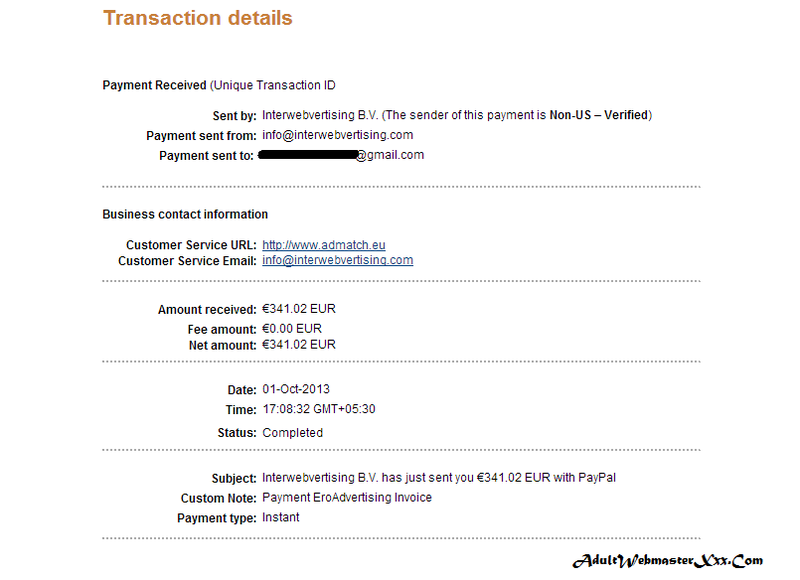 Payment to EroAdvertising can be done through paypal, wire, and credit card. After creating an account on Ero Advertising, first step will be to create adspaces for your website. For creating adspaces you will enter the detail of your websites where you also need to enter the categories and sub categories of your website as mentioned above, and then for all or specific websites you will have to create an adspace where you will also mention advertisement method such as banner, text, video, etc. The advertisers then can buy your adspaces for a fixed price per period. Ero Advertising automatically target ads to your websites which can generate more revenue. You just have to provide a adspace on your website which is most visible and userful for your users. If in case no one purchase your adspace then EroAdvertising’s keyword targeted text ads are displayed for which you are paid per click. whenever an advertiser will select your adspace for advertisement you will be notified by email and you will have to approve the ads. In this way you also have control over ads to be displayed on your website’s adspaces. If you reject an ad, the same will be notified to advertiser via email. Once you have entered the payment related information such as “pay to name”, address etc, and once the correct payment method is validated by EroAdvertising you can receive your earnings monthly or weekly through paypal, wire, paxum, payoneer. You can also convert your earnings to advertisements via EroAdvertiser. EroAdvertising issues payments in Euro. Minimum payout is $10. Like Google Adsense EroAdvertising is also a reliable Web Advertising agency with good ad management & publishing options and offers weekly or monthly payment options whichever you want. 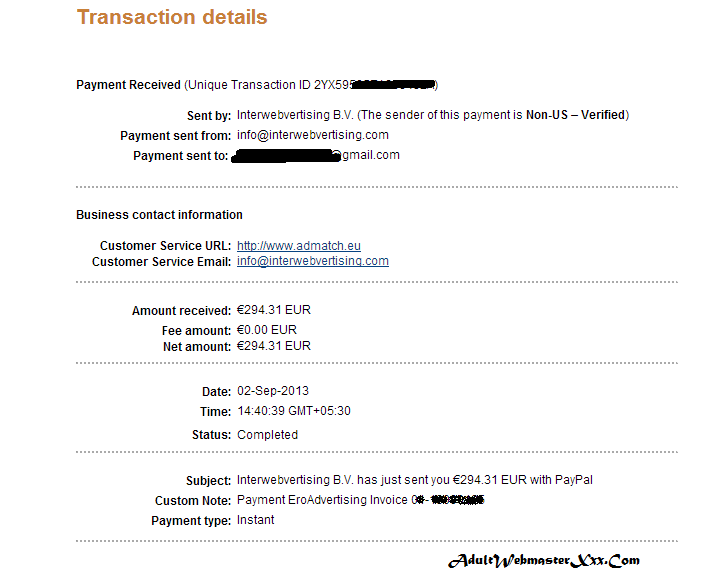 As soon as you accumulate 10 euro in your publisher account you can request for payment. Advertisers can also trust EroAdvertising for relevant traffic and successful marketing solution.